Often you will find that you have a large mesh made up of many small parts that have been joined together. Some of the parts you may want to keep but often there are parts you would like to move or remove altogether. 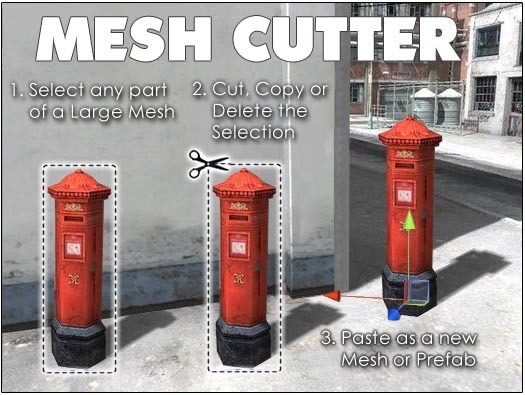 With Mesh Cutter you can now quickly select different parts of the mesh and cut, copy, paste or remove them. The program will preserve the materials and submeshes of the large mesh and create a new mesh and prefab whenever you cut or copy a part, transferring the materials and submeshes to the new object. 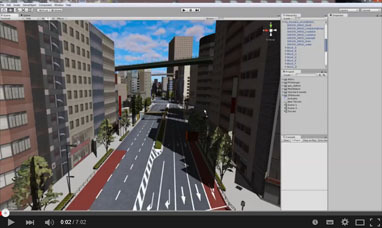 You can also re-center and adjust the pivot point for the new object to use it elsewhere in your projects.